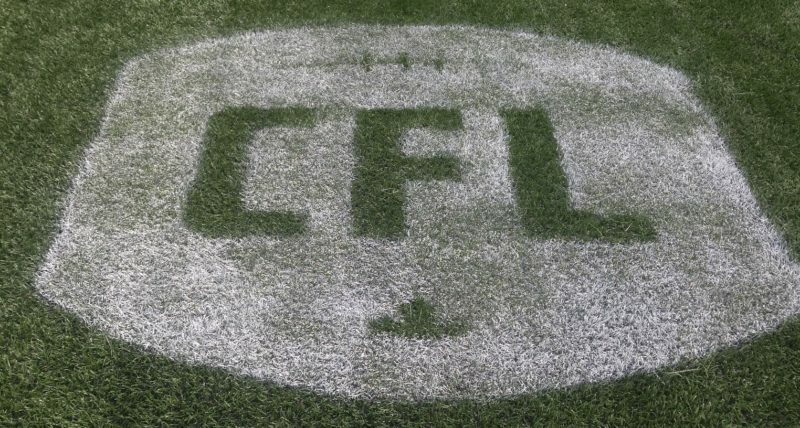 The Canadian Football League unveiled its divisional all-star teams on Wednesday, and when the curtain was lifted there were seven members of the Winnipeg Blue Bombers on the West squad. 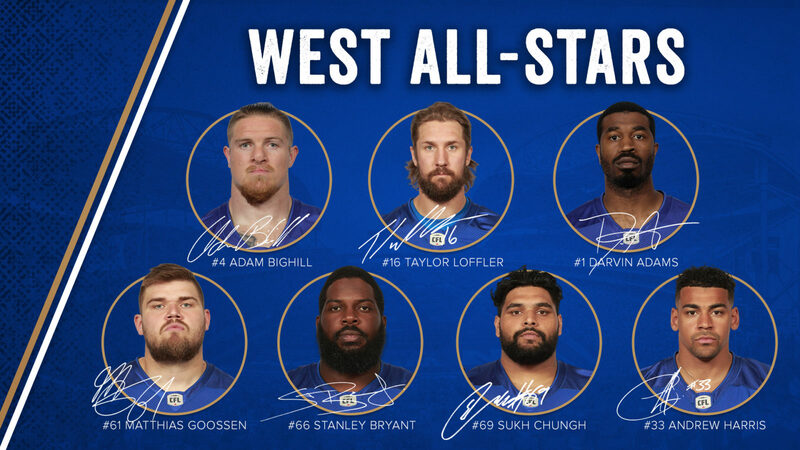 That much wasn’t all that surprising – the club also placed seven on the team last year – but what was noteworthy was this: Three members of the offensive line – left tackle Stanley Bryant, centre Matthias Goossen and right guard Sukh Chungh – were all named West All-Stars, along with running back Andrew Harris, linebacker Adam Bighill, wide receiver Darvin Adams and safety Taylor Loffler. That’s significant because three Bombers O-linemen haven’t been named divisional all-stars since way back in 1993, when David Black, Dave Vankoughnett and Chris Walby all earned spots on the East Division All-Star Team. 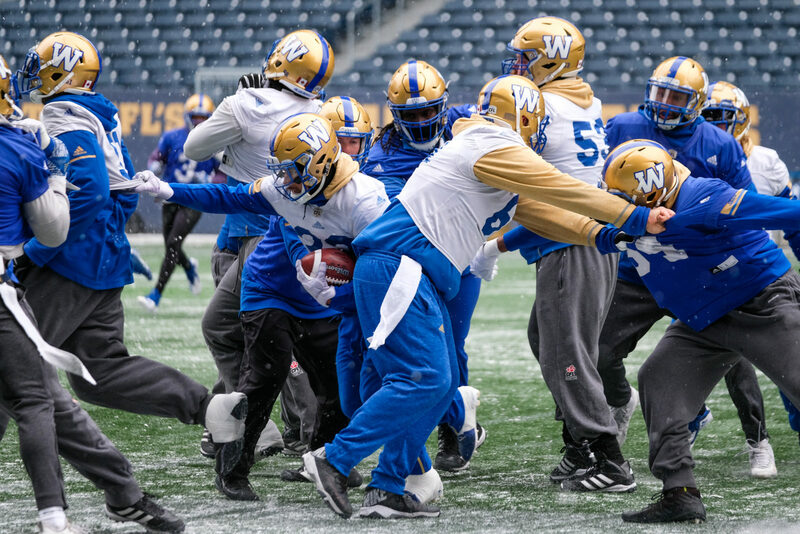 What’s interesting is that both Jermarcus Hardrick and Pat Neufeld – the two men not named to the team – were among the highest Bombers O-linemen to grade out this year. The Bombers O-line doesn’t regularly grab the headlines that Harris, Matt Nichols & Co. do on an almost-daily basis. But they really are the engine that drives an offence that finished first in scoring in the CFL this year, while leading the league in rushing. And Harris, as most know by now, captured his second-straight rushing title on the weekend. 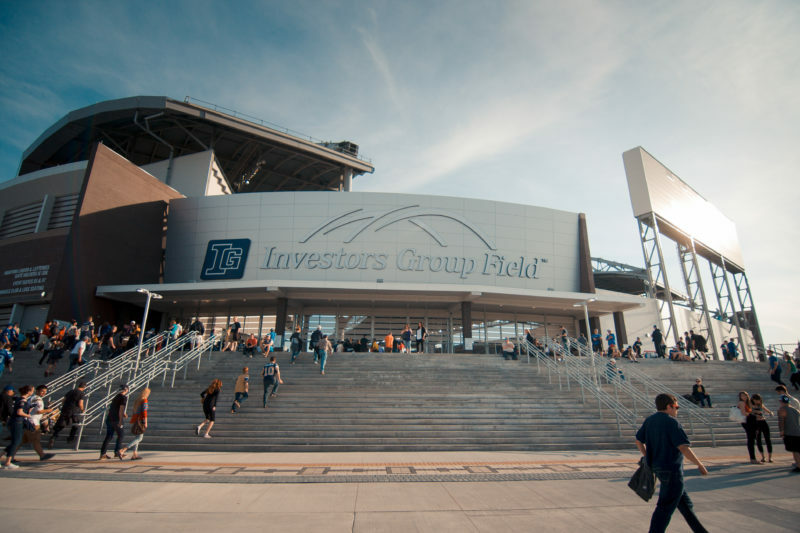 “I just heard that as I walked in here. It’s incredible,” said Nichols as he spoke to the media following practice. “I think all five deserve it. They’ve done an incredible job for me not only this year, but the last three years. They are extremely talented players in front of me and guys that come to work, work hard and are very instrumental in the success we’ve had here in the last three years. What’s perhaps most impressive about this crew – aside from their skill set and juicy O-line-related stats like the rushing title and sacks allowed – is their durability. 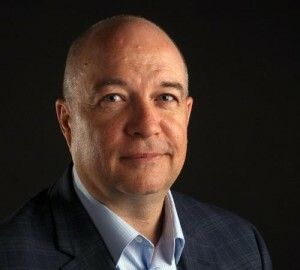 Bryant and Goossen haven’t missed a game in four years, Hardrick missed only five in the past three seasons, Chungh has missed only three in his four years but could have suited up for all of them if it was his call, while Neufeld has overcome some injury woes early in his career to now play in every game over 2017-18. It should also be said that arguably no position group with the Bombers is tighter than the crew up front. His 2018 season, in a nutshell: Dominant. Again. Harris captured his second-straight CFL rushing title on the final weekend of the regular season and set a career high with 1,390 yards en route to being named the team’s Most Outstanding Canadian for a third straight season. He also finished with 58 receptions for 451 yards and has averaged 66.4 catches in the last seven years. 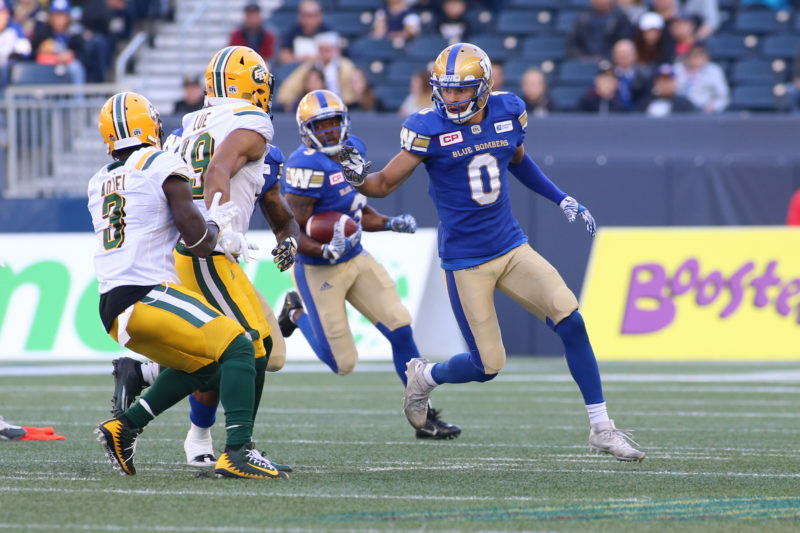 In fact, his 230 catches since arriving here in 2016 is the highest among all Bombers, with Darvin Adams second at 188 and Weston Dressler third at 176. Harris is the first Canadian running back to win back-to-back rushing titles since Calgary’s Jon Cornish won three straight from 2012-14. His 2018 season, in a nutshell: Led the Bombers in receiving with 61 receptions for 1,028 yards and 10 scores, putting him over the 1K mark for the second straight season. Remains one of the league’s most consistent dangerous deep threats, but also had 21 second-down conversion catches – tied for the team lead with Harris. 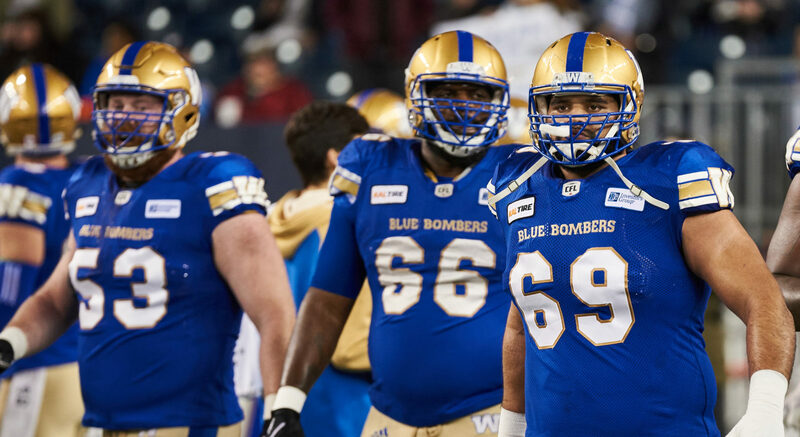 His 2018 season, in a nutshell: Voted the Bombers Most Outstanding Offensive Lineman for the third time in the last four years (Travis Bond broke the streak in 2016). He is the reigning CFL Most Outstanding Offensive Lineman and once again anchored the left side of an offensive line that was part of the league’s highest-scoring offence and top rushing team. And as for his durability, get this: Bryant has not missed a single game in his four seasons since joining the Bombers. His 2018 season, in a nutshell: He’s in his fifth year with the Bombers and just turned 26. The club’s first pick in the 2014 CFL Draft, second overall, Goossen has earned a spot on the West Division All-Star Team for the first time in his career. He hasn’t missed a single game in the last four years and is the field general of the men up front. His 2018 season, in a nutshell: Rested for the regular season finale in Edmonton, but started the other 17. Chungh, a second-overall pick by the Bombers a year after Goossen, has dressed for 69 games – every one of them starts – since turning pro. He brings the nasty up front to an O-line that loves to move the pile. His 2018 season, in a nutshell: He’s an all-over-the-field play-making defensive monster. Grabbed his sixth West Division All-Star honour, and first with the Bombers, after a sensational season in which he racked up 106 tackles, four forced fumbles, eight tackles for a loss, four quarterback sacks, a fumble recovery and two interceptions – including one returned for a touchdown. His 126 total defensive plays matched Calgary’s Alex Singleton for the league lead. A four-time CFL All-Star, Bighill was also named the CFL’s Most Outstanding Defensive player in 2015. His 2018 season, in a nutshell: How’s this for the start of a guy’s career? Three seasons in the CFL, three West Division All-Star honours. Loffler is also a two-time CFL All-Star and was the Bombers Most Outstanding Rookie in 2016. Loffler registered 52 tackles and added three interceptions in 2018.